I am always so humbled when people appreciate and recommend the “labor of love” that I call Accidental Epicurean. On the days it feels more like a labor (read: when I don’t feel editing the thousands of photos on my camera), it is things like this that make me more inspired to do so. So many thanks to 101 Holidays for the recognition! 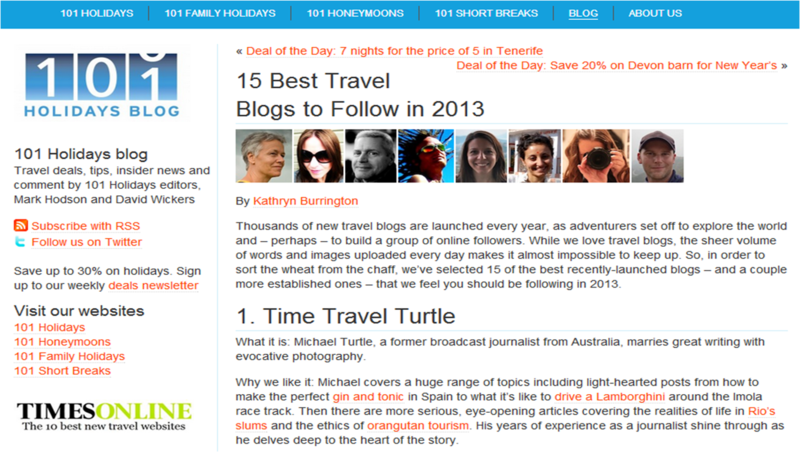 Check out the article here, lots of great travel blogs to read here and a couple like mine that are focused on Asia.